Property Division In A Divorce. One of the biggest issues in any divorce is how the court divides assets and debts. There are several main factors: First, the court’s mission is to do what is fair to both sides. That means it has to balance several factors: how long the marriage lasted; how much community assets there are to divide; how much each party can earn going forward; and how quickly each party will recover from the divorce. But in practice, that means a fairly narrow range of outcomes. For example, if the community estate is several million dollars, I would expect close to a 50/50 split no matter how much the husband makes. If the total estate is $100,000, and the wife is an unemployed homemaker, and the husband works for Boeing making $100,000 a year, I would expect perhaps a 60/40 split in favor of the wife. But I would not expect a 65/35 split, except in very unusual circumstances. Courts like to divide like assets. That is, typically it will not trade off a tax-deferred account (say, a VIP or 401K), for a house, if it does not have to, because they are two different kinds of assets. Courts, in a property division case, will not go back and make a spouse repay the community for decisions what now, looking back, were not good ideas. For example, Husband (George) gave his mother $10,000 to pay down her debts, 5 years earlier. Wife (Samantha) did not like it then and doesn’t like it now. The court will typically NOT go back and make George repay the community for the $10,000 gift. Courts do NOT like to try to figure out who was responsible for financial decisions made during the marriage. That may well be a reason to get divorced; but you are not gonna get punished for it. George takes the house (he wanted the house); he paid Samantha $25,500 for her share of the house. Samantha takes two retirement accounts and her car. The overall division is close to 50/50. Similarly, in a property division problem with debts, there are some rules. Debts follow the asset. If George has a Lexus with a loan, he will take both the car and the loan. The court will typically give the majority of the debt to the high-income earner, no matter who incurred it. (As long as it was community debt.) That’s because the courts want the debts paid; and that’s the person who can pay it. BUT that may also mean less maintenance to the other spouse, because the income won’t be there to pay her. BUT – call me with questions. There is no substitute for talking to an experienced attorney! Case Law And Citations: The statutory factors in RCW 26.09.080 are not limiting and the trial court may consider other factors such as “the health and ages of the parties, their prospects for future earnings, their education and employment histories, their necessities and financial abilities, their foreseeable future acquisitions and obligations, and whether the property to be divided should be attributed to the inheritance or efforts of one or both of the spouses.” (Olivares) In re Marriage of Urbana, 147 Wn. App. 1, 11, __ P.3d __ (2008); In re Marriage of Zahm, 138 Wn.2d 213, 218, 978 P.2d 498 (1999); In re Marriage of Olivares, 69 Wn. App. 324, 329, 848 P.2d 1281 (1993) “[T]he economic circumstances of each spouse upon dissolution [are] of paramount concern.” (Olivares) (Also applies to maintenance). In re Marriage of Gillespie, 89 Wn. App. 390, 399, 948 P.2d 1338 (1997); In re Marriage of Chavez, 80 Wn. App. 432, 439, 909 P.2d 314, review denied, 129 Wn.2d 1016 (1996) In re Marriage of Olivares, 69 Wn. App. 324, 330, 848 P.2d 1281 (1993) “Future earning potential ‘is a substantial factor to be considered by the trial court in making a just and equitable property distribution.’” (Rockwell, quoting Hall) However, it may not be treated as an asset. In re Marriage of Rockwell, 141 Wn. App. 235, 248, 170 P.3d 572 (2007); In re Marriage of Hall, 103 Wn.2d 236, 248, 692 P. 2d 175 (1984) “[I]n considering a party’s future earnings capacity, a trial court may consider the age, health, vocational training and work history of the party.” (Rockwell) In re Marriage of Rockwell, 141 Wn. App. 235, 248, 170 P.3d 572 (2007) Health and age may be factors for consideration. In re Marriage of Schweitzer, 81 Wn. App. 589, 915 P.2d 575 (1996), remanded, 132 Wn.2d 318 (1997); In re Marriage of Dessauer, 97 Wn.2d 831, 650 P.2d 1099 (1982) Pretrial maintenance payments may be a factor for consideration. In re Marriage of Glorfield, 27 Wn. App. 358, 617 P.2d 1051, review denied, 94 Wn.2d 1025 (1980). “If tax consequences are imminent, or arise directly from the trial court’s property disposition, and the amount is not speculative, such consequences are properly considered in valuing marital assets.” (Hay) In re Marriage of Hay, 80 Wn. App. 202, 206, 907 P.2d 334(1995); In re Marriage of Sedlock, 69 Wn. App. 484, 500, 849 P.2d 1243, review denied, 122 Wn.2d 1014 (1993) Assistance in putting a spouse through school may be a factor for consideration in dividing property. In re Marriage of Washburn, 101 Wn.2d 168, 677 P.2d 152 (1984); Fernau v. Fernau, 39 Wn. App. 695, 694 P.2d 1092 (1984) Contribution of separate funds to community property may be a factor for consideration in dividing property. Worthington v. Worthington, 73 Wn.2d 759, 440 P.2d 478 (1968) Concealment of assets (even unsuccessfully) may be a factor for consideration in dividing property. In re Marriage of Wallace, 111 Wn. App. 697, 708, 45 P.3d 1131 (2002), review denied, 148 Wn.2d 1011 (2003); In re Marriage of Nicholson, 17 Wn. App. 110, 117, 561 P.2d 1116 (1977); Rentel v. Rentel, 39 Wn.2d 729, 736, 238 P.2d 389 (1951) A permanent protection order that terminates a spouse’s career shall not be a factor for consideration in awarding property. In re Marriage of Muhammad, 153 Wn.2d 795, 108 P.3d 779 (2005) A bequest in a will while the testator is still living is merely an expectancy; it is not property subject to award nor is it to be considered by the court in making an award. In re Marriage of Hurd, 69 Wn. App. 38, 848 P.2d 185, review denied, 122 Wn.2d 1020 (1993). 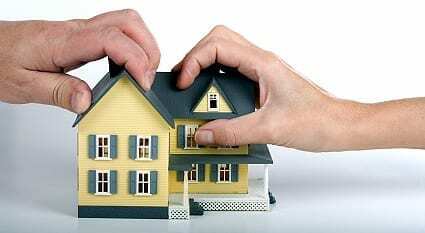 A vested inheritance is separate property, but must be considered in making a property division. In re Marriage of Hurd, 69 Wn. App. 38, 49, 848 P.2d 185, review denied, 122 Wn.2d 1020 (1993).